By the time the U11 girls assembled on the startline, the decision had been made to keep the children in the minibuses until it was time to do a brief warm up and run! With the team competition requiring four to score, every girl had to get around (we are rather light on runners in Y5/6!) in order for us to compete for the Kent College Trophy. As with the U9 girls, the U11s’ ‘hare’ had also misunderstood her briefing, taking the girls around the U13 course. What with the driving rain, gale force wind and extra kilo of mud attached to the girls’ boots, this was a true test of guts and resilience. They rose admirably to the challenge. 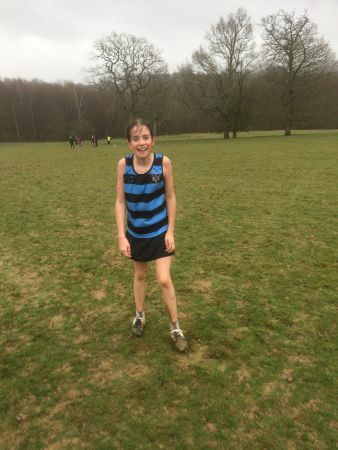 Lottie H (following a tough run at Malvern on Sunday), led them home in 10th place, with Sydney W (who ‘really didn’t want to run’), 31st, wonderful, brave JoJo CM, 37th and our gutsy little Clara S, 63rd. The girls were 8th of eleven complete teams and should be very proud of what they achieved.